Window and door maintenance is the fourth article in our series of top 10 home maintenance tips. 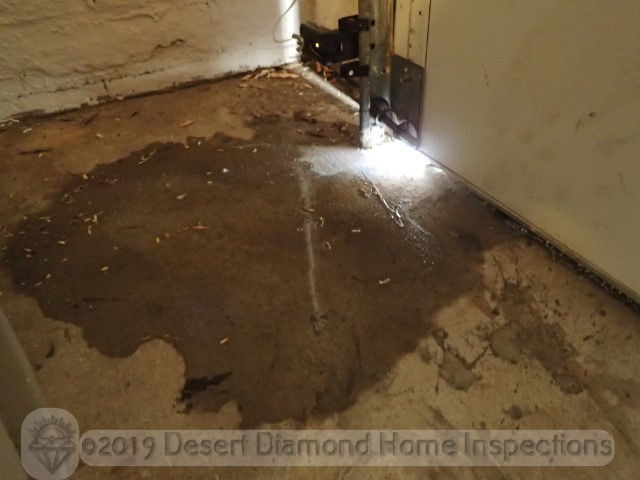 These tips are based on our experience from inspecting homes in Tucson where we see certain issues on a regular basis. Issues that could have been prevented with some easy and affordable proactive maintenance. Proactive home maintenance helps prevent unpleasant surprises and major damage and keeps maintenance and repair costs down. We hope you find these tips helpful and use them to keep your home in good shape. Prevent conditioned air from escaping your home. Keep hot or cold outside air where it belongs: outside. Block rain water from the outside getting into your home. Prohibit pests from sneaking into your home. Unless you like throwing money out of the window (or door), or have your home invaded by rain or critters, you should put window and door maintenance on your annual home maintenance list. Even if your windows are in good condition, rain can still get into the house through any gaps between the window frame and the wall. Check every window from the outside for any gaps between the wall and the window. Then seal any gaps that could allow moisture to find its way inside. If applicable (depending on the window type), check the drain hole at the bottom of the frame. These drain or weep holes allow rain water in the window track to harmlessly drain to the outside instead of overflowing to the inside. For this reason, you want to make sure they are not blocked so they can function as intended. Check every window from the inside to ensure they close tightly all the way around and latch. We regularly find windows that appear to be closed, but upon closer examination are not. 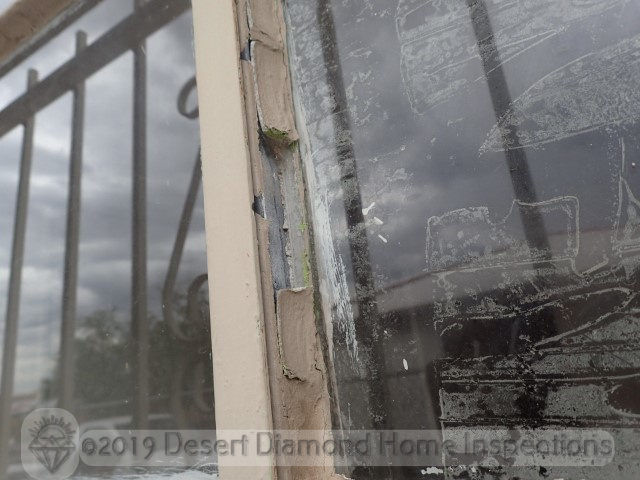 Debris in the track, malfunctioning hardware, curtains caught in the frame, or damaged/bent frames all can prevent windows from closing correctly. If you have older single-pane windows, check the glazing that holds the glass in place. This glazing deteriorates over time and will eventually crumble and fall off. Service any damaged or missing glazing as needed. From the inside, check all exterior doors for gaps or daylight coming through. Replace or add weather stripping where needed to ensure all doors seal tightly. Also, check each exterior door, door frame, and trim at the outside. 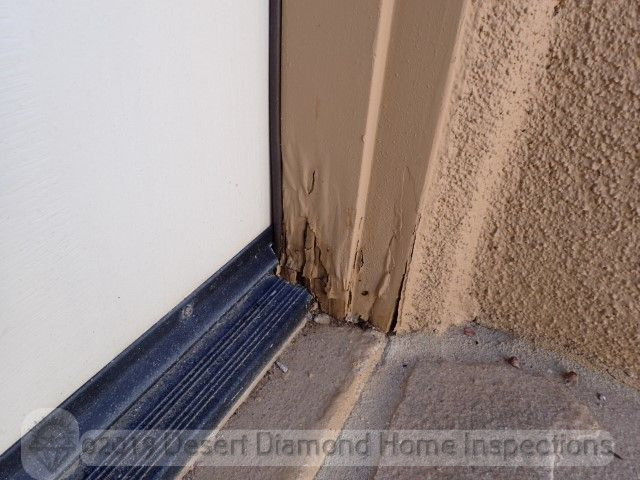 These areas are notorious for deterioration due to moisture, especially at garage side doors. Keep all parts of the doors painted to protect them from moisture. 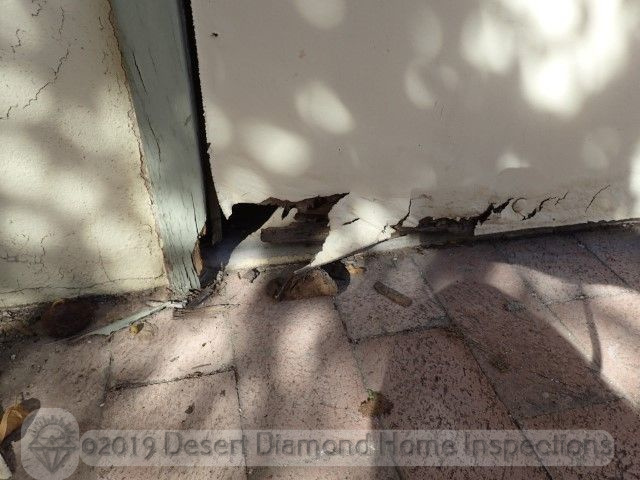 Replace any moisture damaged parts to prevent further deterioration and termite invasion. 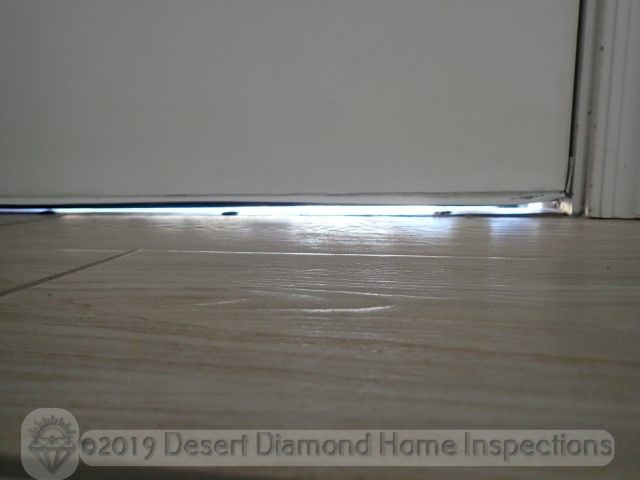 Check the threshold at the bottom of the door to make sure it is tight and sealed. This is especially important if there is no elevation difference between the inside and outside at the door. 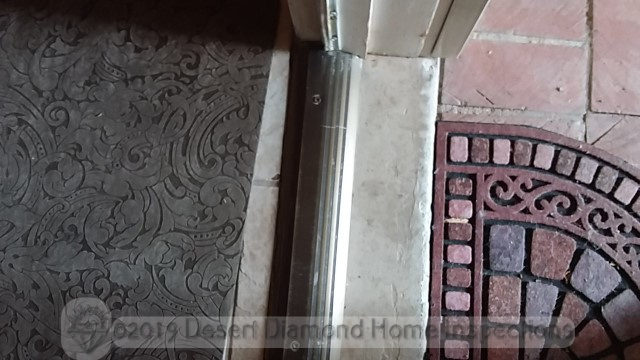 This condition could allow rain water to enter your home under the door or under the threshold. Garage doors have weather stripping installed at the outside and at the bottom to ensure they are sealed tightly when closed. 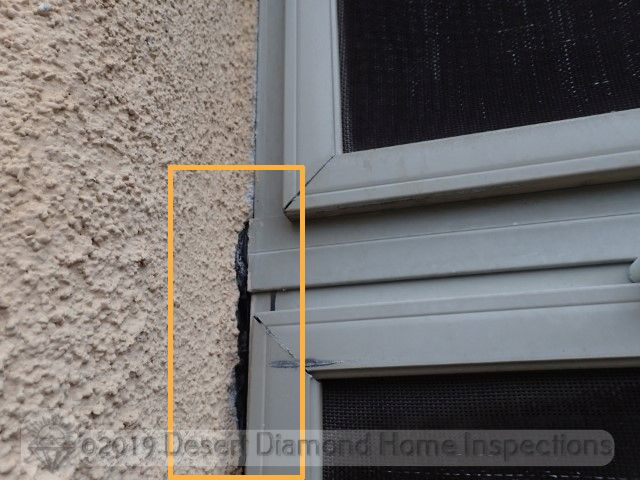 This weather stripping, like pretty much anything else, will deteriorate over time due to use and exposure to the hot Arizona sun. If left unattended, rain water will get into the garage. 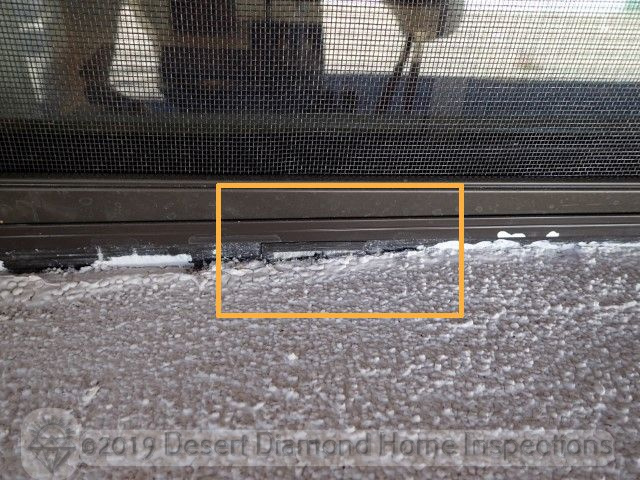 If the weather stripping at the bottom gets damaged, the resulting gap is big enough to allow insects, rodents, and even reptiles to seek refuge from the weather in your garage. Check the weather stripping around the garage door and replace any damaged or missing pieces. Confirm that windows and doors are in good shape and properly sealed before the storms start, and have peace of mind that you won’t have to worry about air or water leaks. If the windows or doors need repairs, it will be easier and cheaper to schedule a contractor during this time. Annual window and door maintenance of your home is extremely important. If you spend a little bit of time and money every year to keep the windows and doors of your home sealed and in good repair, they will last a long time and keep you and your house dry and comfy. It will also prevent unpleasant surprises such as unexpected leaks and resulting repairs that could cost thousands of dollars.